The failure of a tube inside the nr.2 engine of a Japanese MD-90 caused an oil leak and resulting engine fire, according to an investigation by the Japan Transport Safety Board (JTSB). On Sunday August 15, 2010, a McDonnell Douglas MD-90-30, registered JA002D, operated by Japan Airlines took off from Sendai Airport for Fukuoka Airport as a scheduled flight JL3538. Around 16:10, while climbing, it declared a state of emergency upon the activation of the right engine fire warning alarm at about 5,500 ft. The right engine was shut down while the fire-extinguishing system was activated; consequently, the aircraft returned to Sendai Airport and it landed at 16:23. 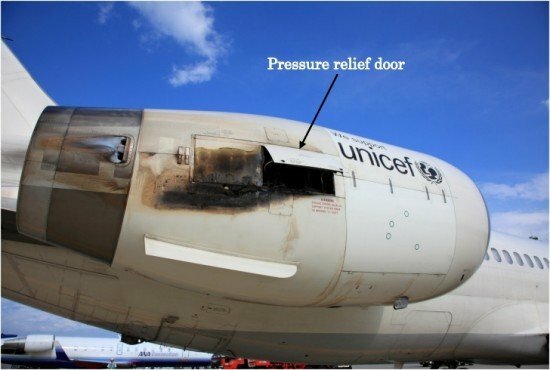 Heat damage inside the cowling of the right engine was confirmed after landing. There were 111 people on board but no one was injured.